Vijaya Bank has released a notice announcing 330 vacancies for the post of Probationary Assistant Manager. The online application process started on 12th September 2018. And the last date to apply is 27th September 2018. The online exam date has not been announced till now but will be intimated soon. We advise you to go through the complete Vijaya Bank Syllabus in detail before starting the exam preparation. Scroll down to find the same. You need to qualify all the sections separately as well as the overall paper to qualify for the next phase of exam i.e. the Interview round. For every wrong attempt, you will get 0.25 marks in negative. You need to complete the paper in two hours. Please find the section-wise exam syllabus for Vijaya Bank below. The Financial Management syllabus consists of specialized topics that deals with the effective use and management of company funds to achieve its objectives. We wish you all the best for the exam! Give your best and clear the exam with flying colours. 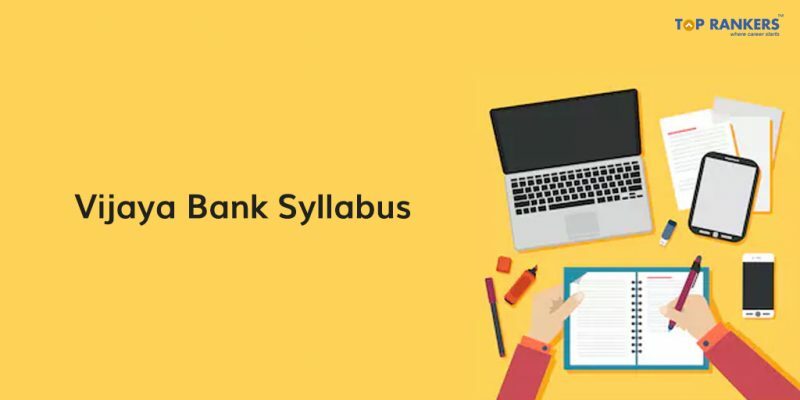 So, tell us, did you find our post on Detailed Vijaya Bank Syllabus 2018 helpful? Then, keep visiting us regularly for more exam pattern and syllabus updates. And do share your thoughts with us in the comments section below. ‘Cause your opinion matters!